Most of my blogs are about Office 365 / SharePoint Online. 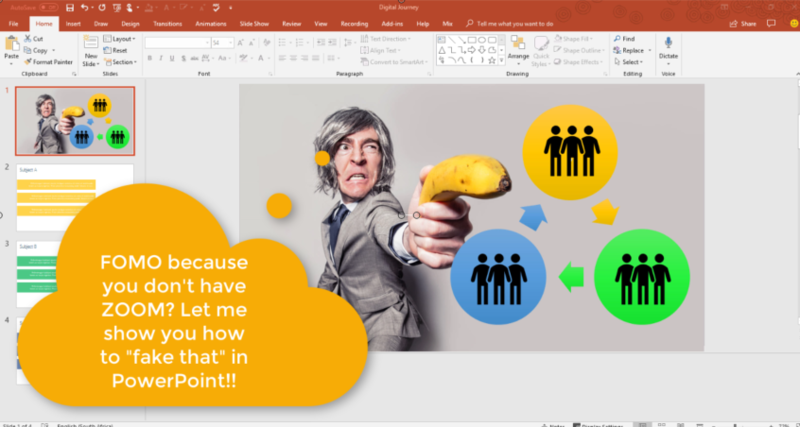 Maybe you’ve seen the new Zoom function in PowerPoint and you’re suffering from serious FOMO cause you don’t have the latest version of Office. Here’s how you can achieve a similar result by using icons and links to pages in PowerPoint.